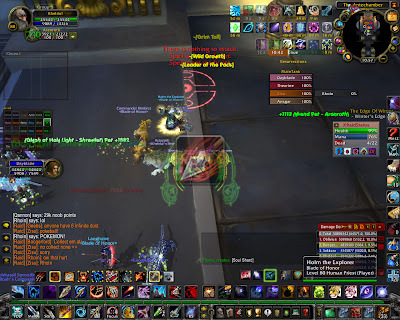 Hunter DPS: Ulduar Triva: Notice anything wrong (2)? If your answer is that my UI has too much going on, you're right. However, that isn't the "notice anything wrong" I was looking for. This shot occurred right after we cleared a little trash. About 9 seconds after I fired my Kill Shot. Still not see it? Look for half of a Pokeball.